Waterfall Info: This small waterfall is on Bryant Creek. 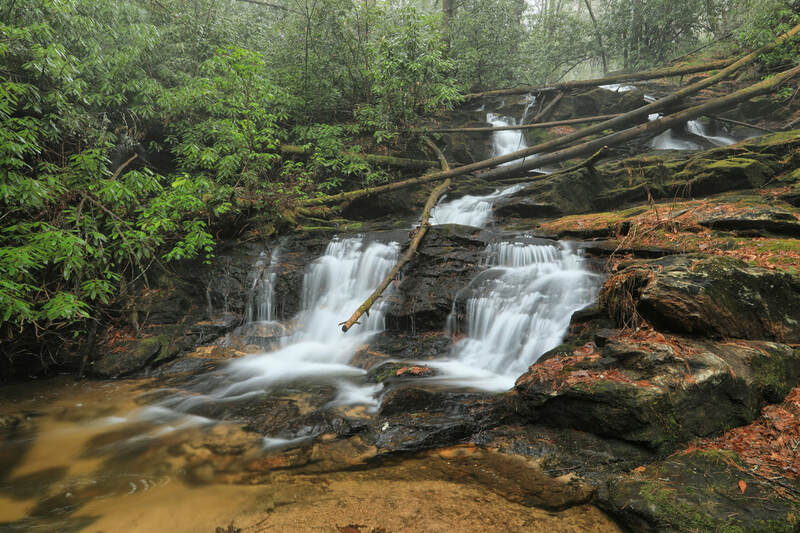 Access Info: To see Bryant Creek Falls, follow the Yellow Mountain Trail from Addie Gap. After crossing Bryant Creek via a footbridge and passing a pair of switchbacks, you may be able to hear the falls down to the right. A short but steep off-trail scramble will bring you to it.